This post was originally published on Hello Jackson on September 23, 2013. The popularity of frozen yogurt has really taken off in the past few years. The first time I had it, I was sold! It is much different than ice cream, and with the right topping choices, much healthier because of the probiotics that occur naturally in yogurt. 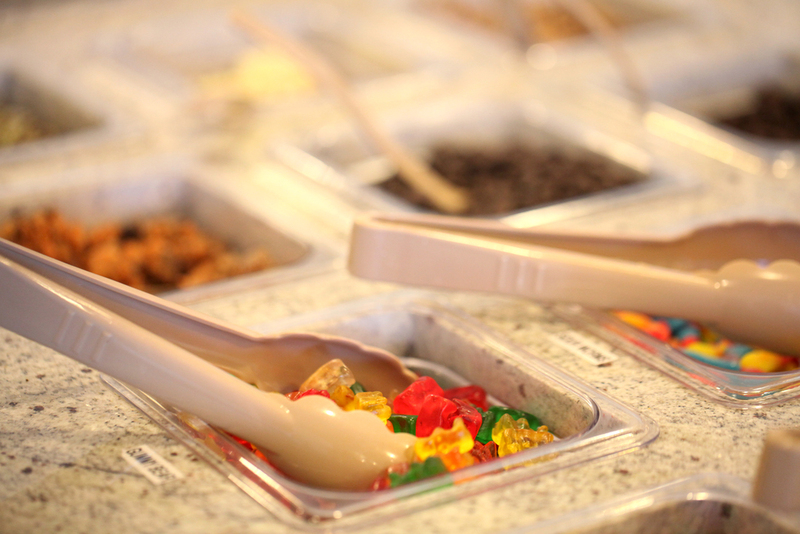 The best part of eating frozen yogurt is choosing from all the fantastic toppings, and today’s featured business, Yogurt Square, has an awesome selection. Yogurt Square is right in the middle of the biggest shopping area in Jackson, The Columns, making it a perfect place to stop and enjoy a treat after perusing all the surrounding stores. When I walked in, I immediately noticed how great the atmosphere is. It is so fun and light-hearted with great colors and an adorable little section made just for kids. There are 16 flavors of yogurt to choose from and over 60 toppings including various candies, fruit and nuts, so you have a pretty big range of choices for your treat! Yogurt Square accommodates people with special diets, so they offer some non-dairy options as well as some options with no sugar added, and most of the flavors are non-fat. I have always been a fan of plain tart, so I chose to mix the original tart with watermelon. I topped it with fresh kiwi, almonds and granola, and it was just like summer in a bowl! I imagine the cake batter flavor piled up with candy crumbles and sprinkles would be pretty tasty too. 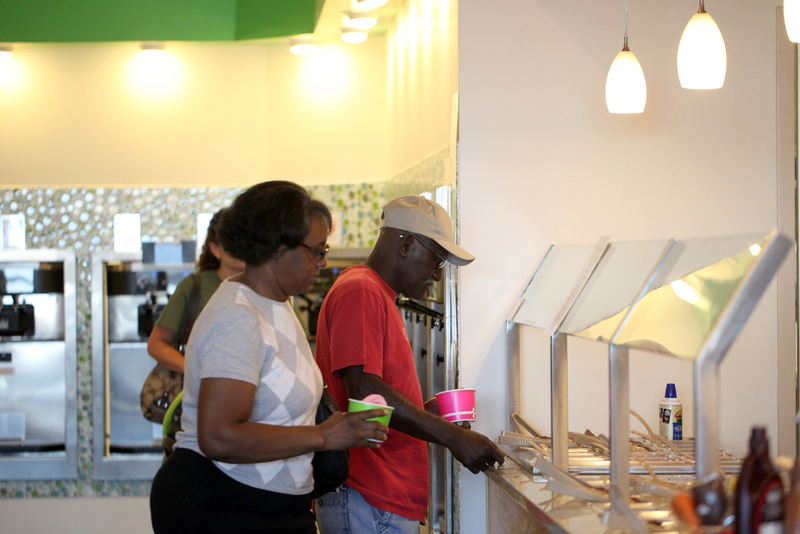 Sam and Michelle Chan opened Yogurt Square in August of 2012 after years of research and planning. They wanted to open a business where they could provide delicious and healthy dessert options for people of all ages, and they seek to serve everyone with their myriad of choices. One very unique thing they offer is a homemade waffle cone with your yogurt, as well as traditional wafer cones. I have never had frozen yogurt in a cone, but I love that idea! 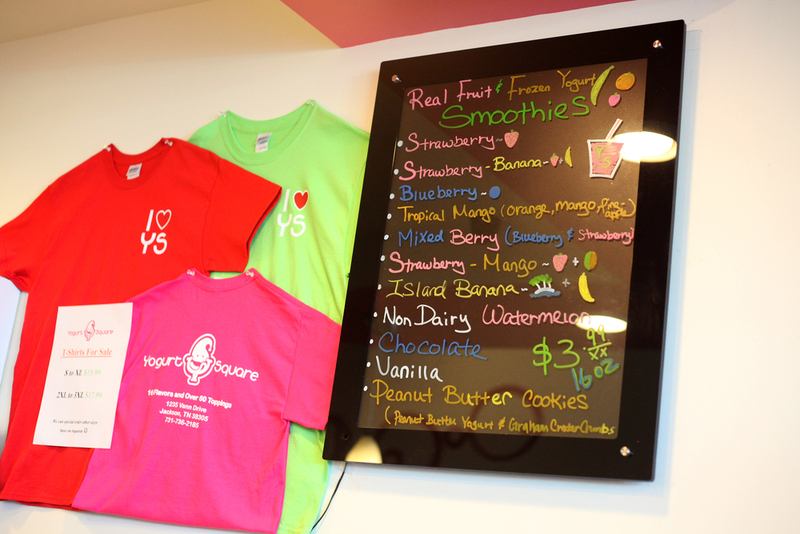 Besides the amazing self-serve frozen yogurt, Yogurt Square also serves real fruit smoothies, which are made fresh to order. Despite the challenges of running their own business and chasing an energetic four year old around, Sam and Michelle have managed to create an incredibly fun and well-maintained yogurt shop. The machines are very clean and well kept and run smoothly. 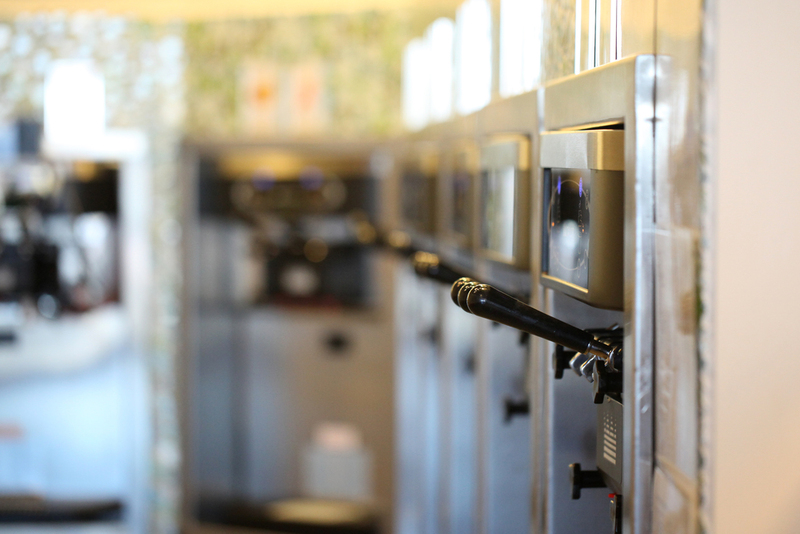 The ability to mix flavors is especially awesome, and they try to pair complimentary flavors in the same machine. They also offer discounts for Jackson college students and employees of some nearby businesses, as well as occasionally offering discounts in local coupon books and through their Facebook page. 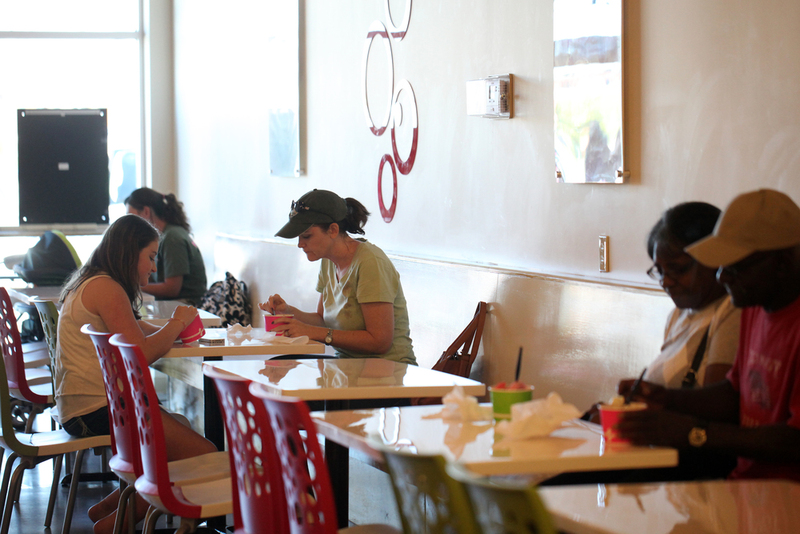 Even once it’s officially fall, it will still be warm enough for some delicious froyo! 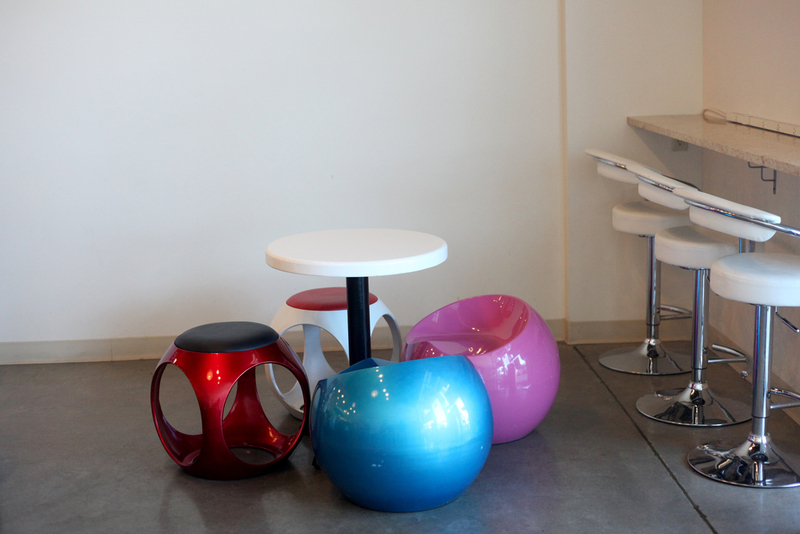 Be sure to drop in for some yogurt or a smoothie when you’re craving something sweet. Yogurt Square is located at 1235 Vann Drive, and hours are Monday through Thursday 11:00 a.m. - 10:00 p.m.; Friday and Saturday 11:00 a.m. - 10:30 p.m.; Sunday 12:00 p.m. - 9:30 p.m. They can be reached at 731.736.2185 or through their Facebook page.